Below, we have listed each month’s theme. We encourage you not to interpret the themes too literally, but to go ahead and be creative with them. Besides, our themes aren’t here to preclude writings on other themes, quite the opposite. If you have an idea, go ahead and pitch it to us! Or just send us your article, and we’ll see how to move forward. Books related to (anti-)racism such as, for example, Hallo witte mensen by Anousha Nzume, White Innocence by Gloria Wekker, Citizen: an American Lyric by Claudia Rankine. We highly encourage you to introduce us and the readers of our website to other books and writings on this topic through your book review! We’d like to publish articles on Guess Who’s Coming to Dinner too?, the art community project by Patricia Kaersenhout currently exhibited at WOW (https://www.mondriaanfonds.nl/gehonoreerd/wow-amsterdam-patricia-kaersenhout/) or on the events organised alongside the project (see: https://www.facebook.com/pg/guesswhoscomingtodinnertoo/events/?ref=page_internal), and the past Gordon parks exhibition in Foam I Am You (https://www.foam.org/museum/programme/gordon-parks). We are looking for articles engaging with Dutch (anti-)racism, your experience of it, and initiatives within the Netherlands and Amsterdam taken to address it (think for example of the Dutch podcast Dipsaus and the recently very successful crowdfunding campaign of The Black Archives). We’d like to publish articles on the topics of (white) fragility, racism, colorism, and their connections. We’d like to read about the intersection of racism with other identities; specifically, we are thinking of submissions that focus on the intersection of (anti-)racism and islamophobia, and the intersection of LGBTQIA+ identities with (anti-) racism. Any other piece that falls under the category of creative writing, opinion piece, film review, music review, event review, guide, academic writing, or interview. On November 8, we will host our fourth discussion night that will be focused on men and violence against women, together with Emancipator (hyperlink to their website). Therefore, we would like to read about masculinity, its construction, and the different forms that masculinity can take. We encourage men to submit articles for this topic, but we would also very much like for women, non-binary, and transgender people to open up about what masculinity means for them, and how it informs their gender identity and -expression, and their daily life. Furthermore, we are looking for reviews that address the perpetuation of toxic masculinity in media, but we are also very excited to read your pieces on how different masculinities are portrayed or challenged in (but not limited to) music, film/documentary, the visual arts, and poetry. Would you like to write about masculinity in a different way from the ways suggested by us? Please let us know! We are looking for a wide variety of articles that explore the theme of masculinity in all its forms. Excited about the themes? 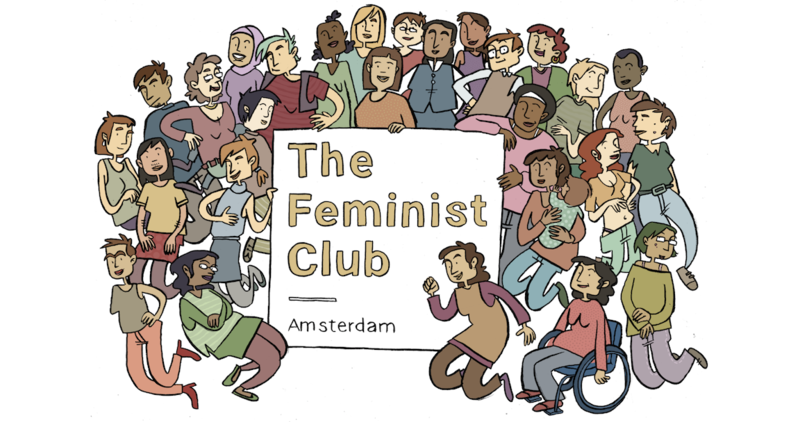 Get started and send us your article(s) to website@thefeministclub.nl! Do you have an idea but you’re not sure yet how to develop your ideas into an article? Send us a pitch! We’d be happy to help you with starting to write and developing an article for our website. Do you already have an article or paper lying around waiting to get published? We’d be very excited about reading and publishing them! Please get in touch with us by sending an email to website@thefeministclub.nl.